In this very moment, a potential client is looking for what you offer. Their next step? They turn to Google. Your next step? To ensure that you feature in the options Google provides to them. Google has forever changed the marketing landscape. Too many businesses either neglect marketing altogether or waste money and effort on marketing efforts that no longer work. Get SEO smart … and clients will come looking for you. Covering: Why SEO is the most effective and economic form of marketing today, how SEO works, and how to rank on Google. 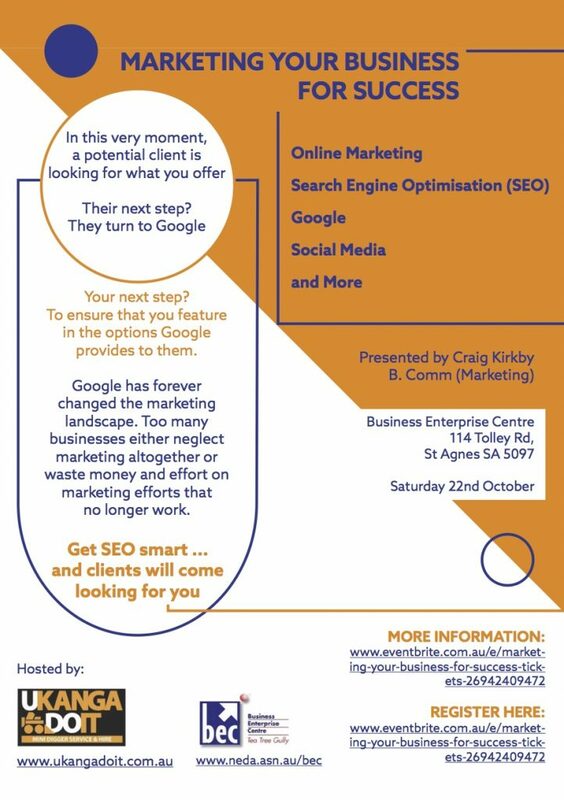 Covering: The essentials for maximising your SEO potential, from website to social media, from blogging to networking. Covering: Strategies for writing SEO-strong blogs and for procuring quality backlinks (including email outreach and mailing lists); both so crucial to ranking well in both the short term and the medium-to-long term.